Pictured: 1 Oakdene Road, Springfield. For sale by Stephanie Williams and John Williams of Harcourts. 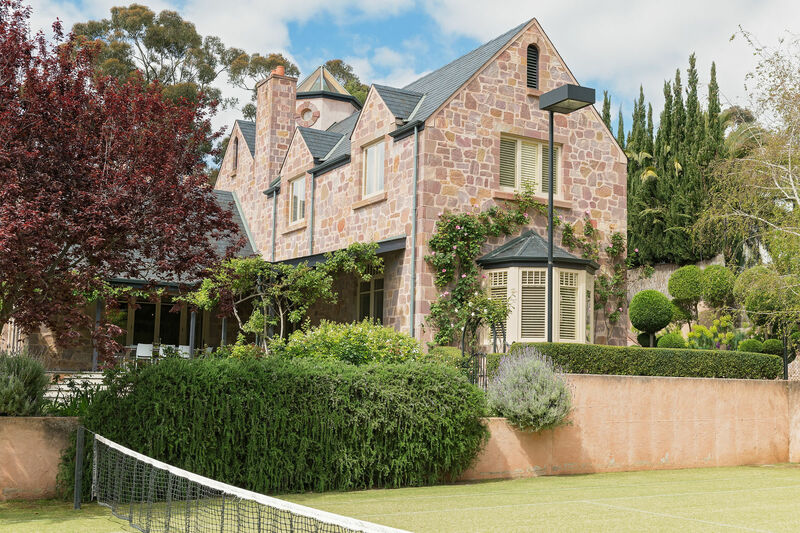 REISA President Mr Brett Roenfeldt said the latest figures revealed a median price that had remained at record levels this quarter and demonstrated a fantastic growth of 4.33 per cent since the same quarter last year. Over the September quarter, 3,876 houses settled across the Adelaide metropolitan area which is down from the previous quarter and only slightly down from the same quarter last year. Sales across the entire state were also down from the last quarter. “It is always disappointing to see figures that show a decline in the volume of sales but it is to always be expected in the third quarter of real estate activity. The third quarter is always a slow period for sales and we always see results like this every year. "The cold winter months always bring in less activity with the premium properties waiting for the warmer months to sell. I have enormous confidence that sales will pick up considerably in the months ahead," Mr Roenfeldt said. “What is fantastic news is that the median has remained at its record level since the last quarter. It shows people are still willing to pay good dollar for premium properties that are transparently and accurately priced. “As the new REISA President, I am also looking forward to REIA continuing its dialogue with the State Government on the need to abolish the monster stamp duty tax, the desirability of bringing in compulsory professional development and a review of the real estate legislation in South Australia,” Mr Roenfeldt said. Suburbs to see the biggest growth over a 12 month period were Oaklands Park, Parkside and Tea Tree Gully. Other big movers included Glen Osmond, Kilburn and Gawler South. The top-selling suburbs were the perennial Number 1 Morphett Vale, Mawson Lakes and Paralowie. “Affordability, investment opportunity and infrastructure will always be the key drivers for sales and growth. When affordability is right, the market remains confident and buoyant. It is no surprise then that the top sales suburbs remain very constant throughout the year,” Mr Roenfeldt told WILLIAMS MEDIA. The September quarter statistics showed the growth in the South Australian median price was 0.30 per cent up from the previous quarter and a robust and sustainable 3.11 per cent up from the same quarter last year. The unit and apartment market showed a decrease in the median price compared to the previous quarter and the same quarter last year. Sales were also down from the previous quarter and the same quarter last year. “It is always tricky to comment on the third quarter every year as inevitably we see a decline in the volume of sales. I emphasise, however, that the results in the third quarter can never be taken as a sign of bad times to come or that the real estate market is not moving in the right direction. "The median price has remained unchanged from the last quarter and is still sitting at a record level. Sales will bounce back next quarter as they do every year and will reinforce the fact that South Australia is one of the best places in the world to live, work, invest and play” Mr Roenfeldt said. The regional housing market recorded a median house value of $270,000, representing a solid 0.93 per cent increase from the last quarter and a robust 1.89 per cent increase from the same period last year. Sales were slightly down from the last quarter and the same quarter last year. “Given that the third quarter in every year shows a slowing down of the housing market, it is fantastic that regional South Australia has somewhat bucked this trend. "Sales are only marginally down and the median price continues to rise to very sustainable and healthy levels. I am delighted that the regional housing market continues to show resilience and underlying strength. Suburbs which have seen the largest growth over a 12 month period are Barmera, Port Lincoln and Murray Bridge with increases of 19.43 per cent, 10.08 per cent and 9.18 per cent respectively. The top-selling suburbs were Victor Harbor, Mount Gambier and Murray Bridge.